The Atlantic concept features a glass roof with an X-shaped cross-brace that Fisker says gives rear-seat occupants more headroom. Fisker Automotive, facing funding issues and scrutiny from the federal government, plans to delay the launch of its new model, according to an industry Web site. The Atlantic, the five-year-old startup’s second vehicle, was unveiled last month at the New York auto show and was scheduled to go on sale next year. But InsideEVs.com said it had obtained documents meant for investors that indicate Fisker now plans to have the vehicle on the market by mid-2014. But his language seemed to confirm that the old timetable was history. He wrote that the company will be “confirming a new timetable for the program” once it secures funding, from the [Department of Energy] or elsewhere. According to InsideEVs.com, the documents also reveal that the Atlantic will have a sticker price of $50,000 to $60,000. Fisker declined to comment on pricing in New York last month, but according to a report in Autoweek, the car is expected to be priced below $40,000 after federal tax credits. The Atlantic, which was known as the Nina during development, is a plug-in hybrid with four-cylinder engine produced by BMW. It is meant to compete with mid-sized luxury sedans. It has rear-wheel drive, but all-wheel drive is an option. 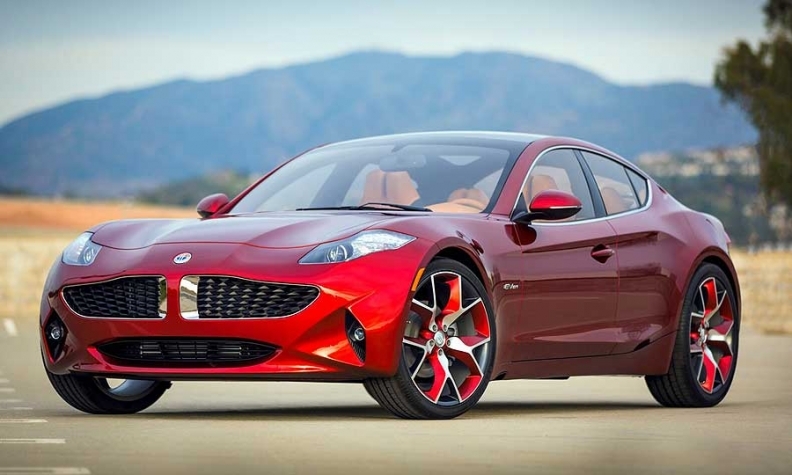 The Atlantic’s delay would be the latest in a long string of troubles for Fisker. The company was slow to roll out its first vehicle, the $100,000 Karma, which is manufactured in Finland. DOE froze a $529 million loan to the Fisker last May after the company had received about one-third of the allocated funds, which were meant to support its American engineering efforts and to help introduce the Karma. Lasorda said the company would make a decision by the end of summer about where it would build the Atlantic. Lasorda was named CEO in February and has been working to renegotiate Fisker’s DOE loan and to improve the company’s image. In December the company recalled more than 200 Karmas because of possible problems with batteries supplied by A123 systems. And in March, Fisker’s image took another hit after a Karma stopped working during a Consumer Reports test.